Although a little overdue - I hope you enjoy the read! 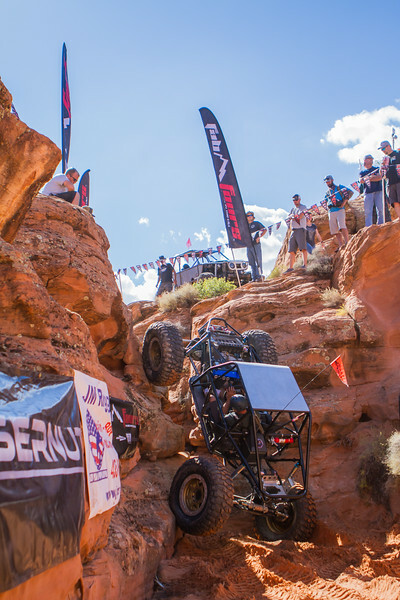 The Trail Hero event at Sand Hollow, UT is one of my all-time favorites! It checks all the boxes for excitement, organization, location, and honoring the awesome men and women that have served our great nation. 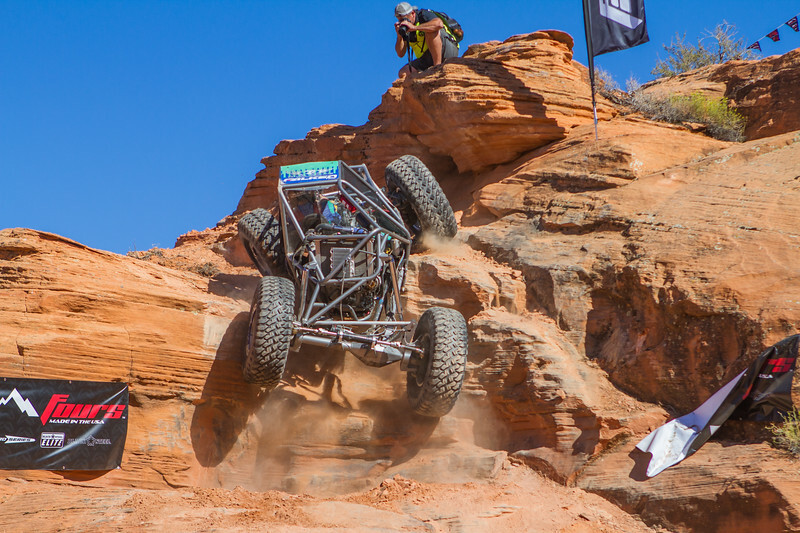 My favorite photo of the event is from the Trail named, DeKleined; the unlimited buggy is owned and driven by, Justin Keilman. I have been fortunate to be able to attend this remarkable event for each of the 3 years it has been in existence and cherish them all! 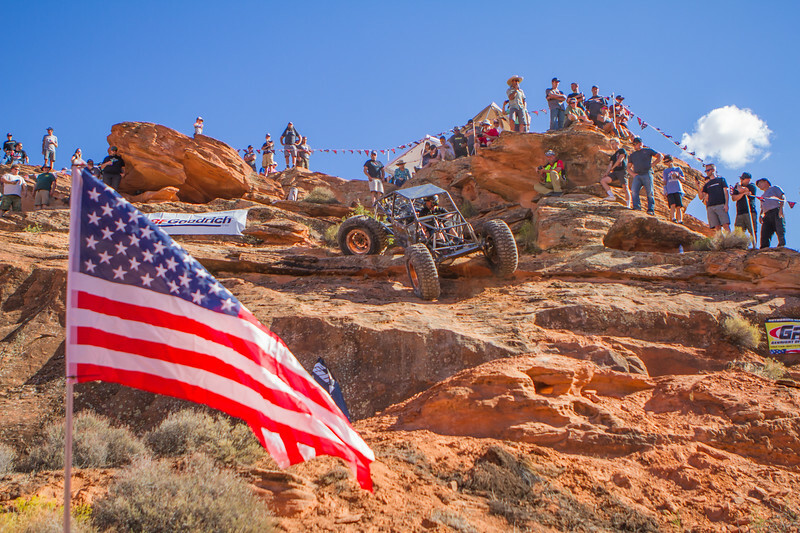 Thanks to Rich Klein and Valerie Douglas and the army of volunteers that make this 4-day event one of the top off-road destinations in the country. Each day starts off with guided trail rides and depending on your skill level and the capabilities of the machine, participants can select trails that are rated from mild to extreme. I take my Arctic Cat Wildcat X so I am able to cover lots of ground to get as much of the action as possible. It's a very capable machine fitted with 30x10R-14 Gladiator X-comp tires and Raceline Scorpion 14x7 wheels on all 4 corners. 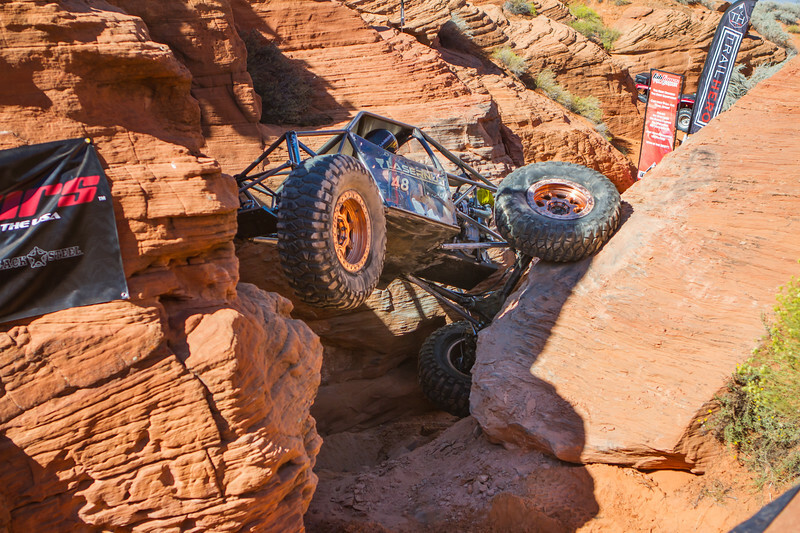 They Gladiator X-comp tires provide excellent traction on the many miles of slickrock trails. On Wednesday after the trail rides, there was a Lasernut Rock Race. This is free for spectators and gathers quite a crowd. Watching some of the machines lining up surrounding the course is part of the fun as well. 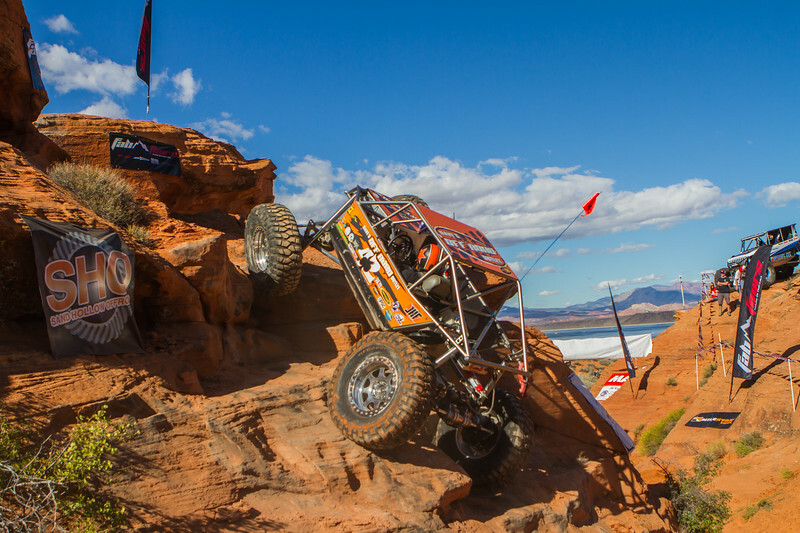 The amount of engineering that goes into rock machines is off the hook, plus the view is spectacular with the coral pink colored sand with the lake in the background. There were a couple of heat races before the final race to determine the winner. The drivers put on quite a show throwing huge rooster tails as they jockeyed for positions. This year Mother Nature decided to enter the race, wetting down the course before a thunder and lightning storm ended the race a couple of laps early so that the crowd could take refuge before the lightning engulfed the area. 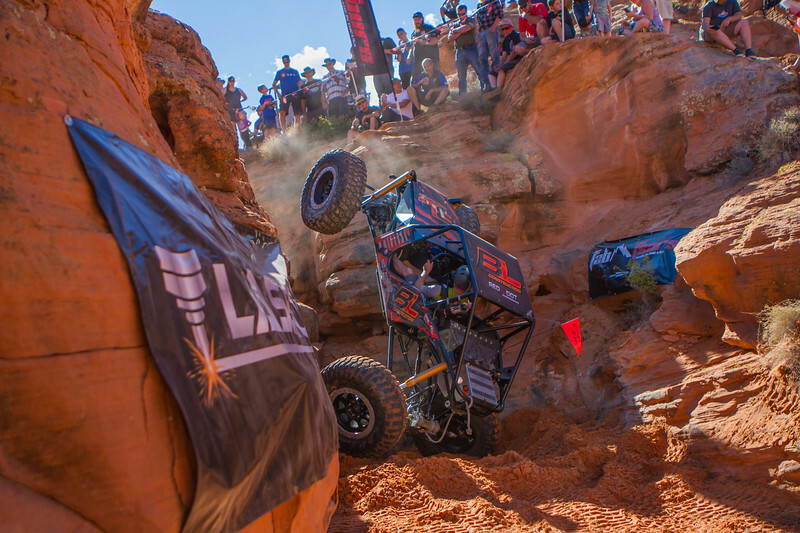 Cody Wagoner from Lasernut Racing won the hotly contested shootout. Shortly after the race we were all drenched but the rainbows were amazing. Thursday after the trail rides was one of my favorite events: WEROCK Rock Crawl. 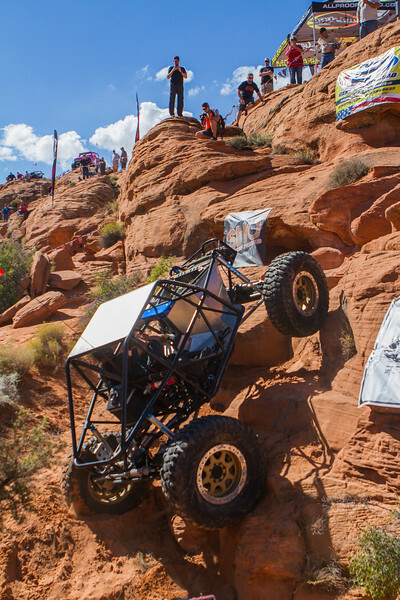 This is also a crowd pleaser as spectators get to be up close and personal with many of the top rock crawlers in the country. 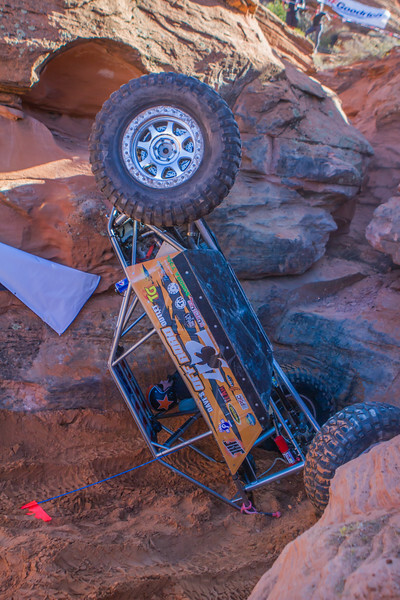 It was amazing to look at a course that seems impossible to imagine someone would even think they can make it through the cones that are strewn up steep rock faces and jagged cracks. It was quite a show to watch and even more fun for spectaculars to see them make it, break it or roll it. This is the oldest competitor, Charlie Vaca. His car number is the year that he was born; yes he was 76 years old and driving like this. His teammate, at the age of 15, is in his second year of competition and the youngest competitor. As you can see he gives it his all as well. Four drivers made the finals that were held on a separate course. How they finish would determine the winner. 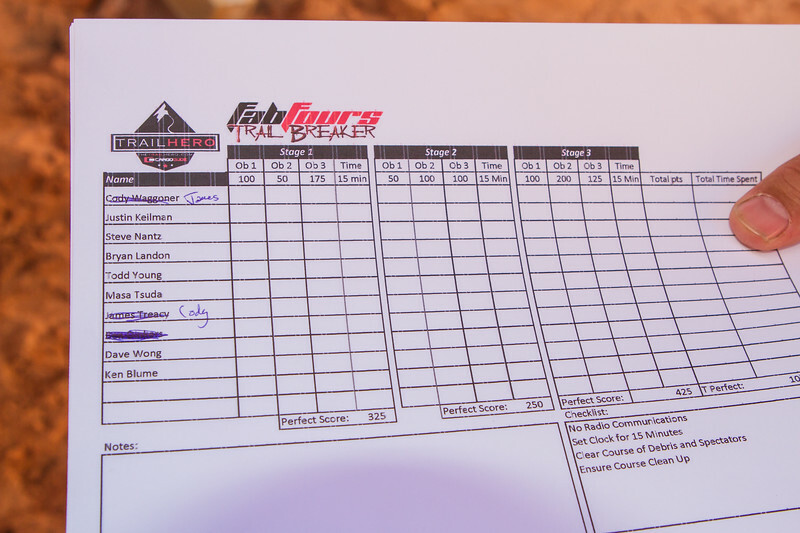 In the end, Cody Waggoner won the event by 3 points. Second and third place were tied but Matt Messer took second place by time over Dave Wong. It doesn't get much closer than that! 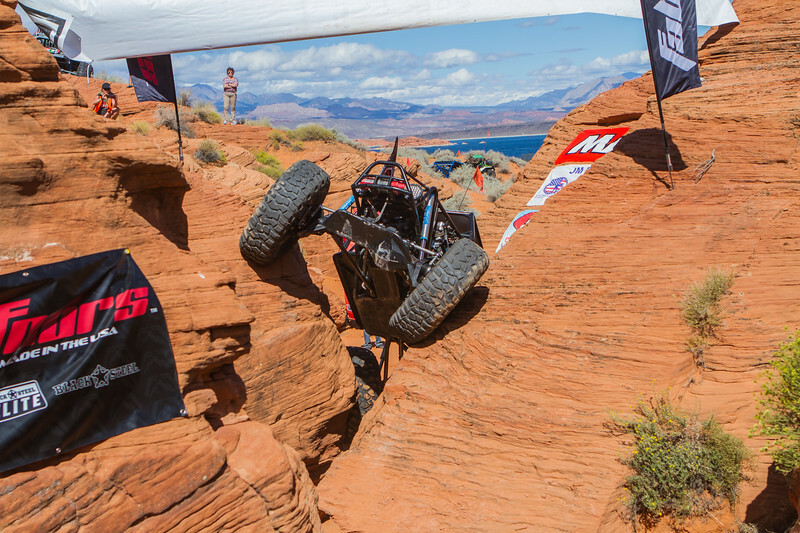 Friday was the Grand Finale as it was the Trail-Breaker event. 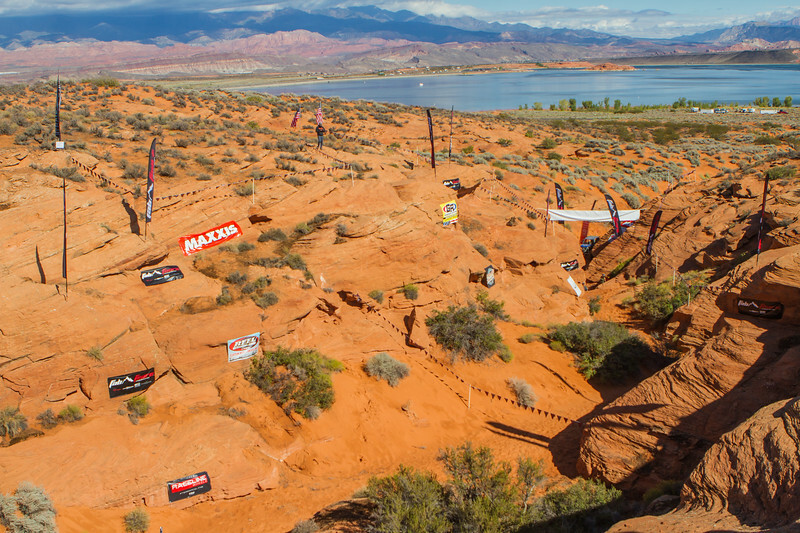 The Trail-Breaker is unlike any other event in the country thought up by, Rich Klein. 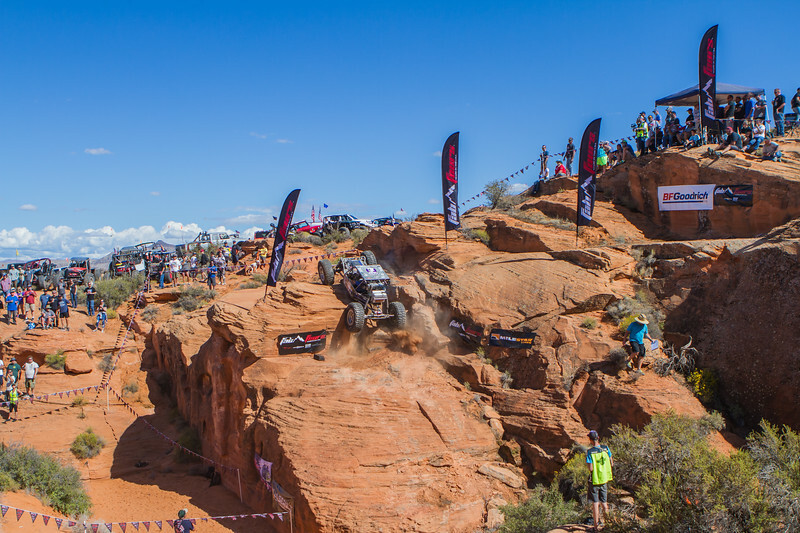 It is an invitation-only event where they pick 10 of the top drivers in the country to come and compete on a trail that has never been run before. To top it off, they can't have any spotters and they have 15 minutes to complete each stage. 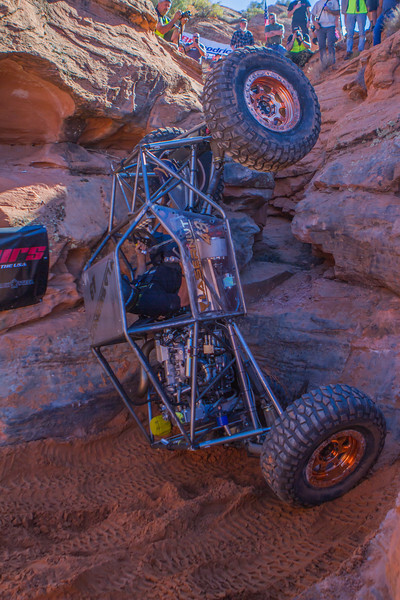 The canyon picked for this Trail-Breaker does not look doable in my opinion. But these guys are the best and will always give it their best. 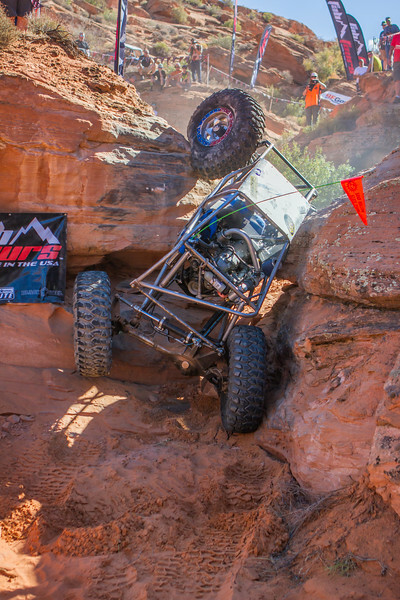 The first competitor to attempt stage 1 of 3, pulled up to the sliver of a crack to attempt to squeeze his buggy through. To give you an idea as to how steep the climb was, here are a couple of photos of the first 2 drivers climbing out of stage 1. 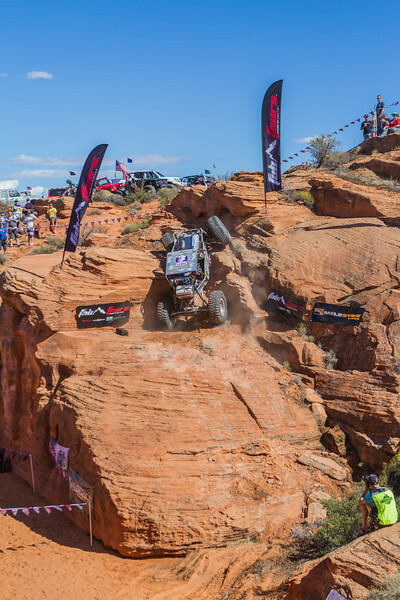 At this point, things got going in a hurry as once a competitor is finished with a stage they go on to the next one so within 45 minutes there were 3 drivers running different stages at the same time. 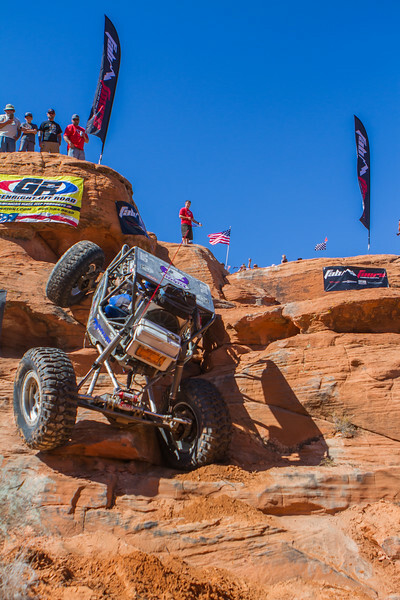 Stage 2 was gnarley, with a rock ledge to climb and accompanied by a 30 to 40-foot drop off to the side - don't mess up! 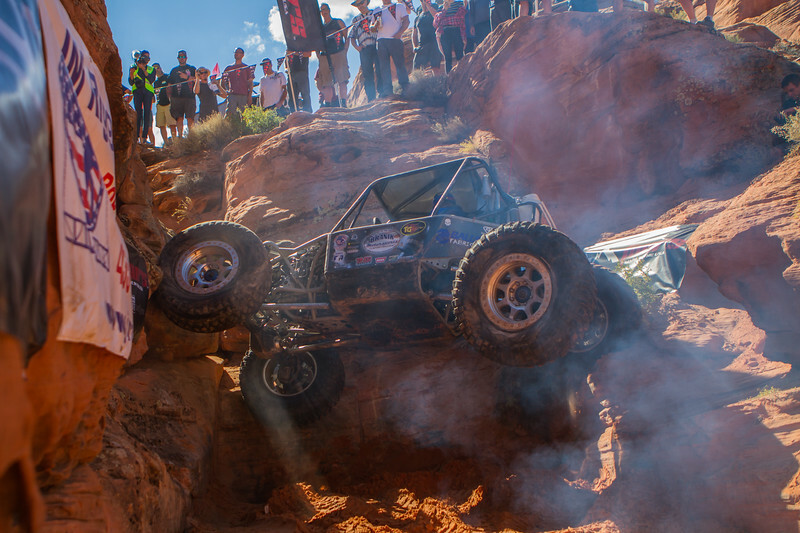 The second driver was the first to make this climb and the crowd roared with of approval. As the first driver started stage 3 a brand new blue buggy started on stage 1. This was it's first time out. Nobody was able to conquer the final obstacle on stage 3 but it was entertaining!! 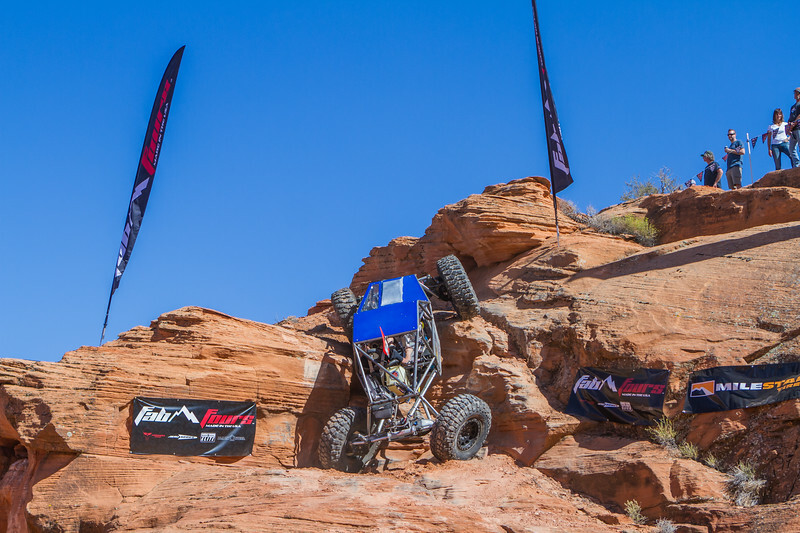 Steve Nantz in his cool new buggy won 1st place and is currently the 1st person to be a 2-time winner. He was followed up by Cody Waggoner and Justin Keilman. 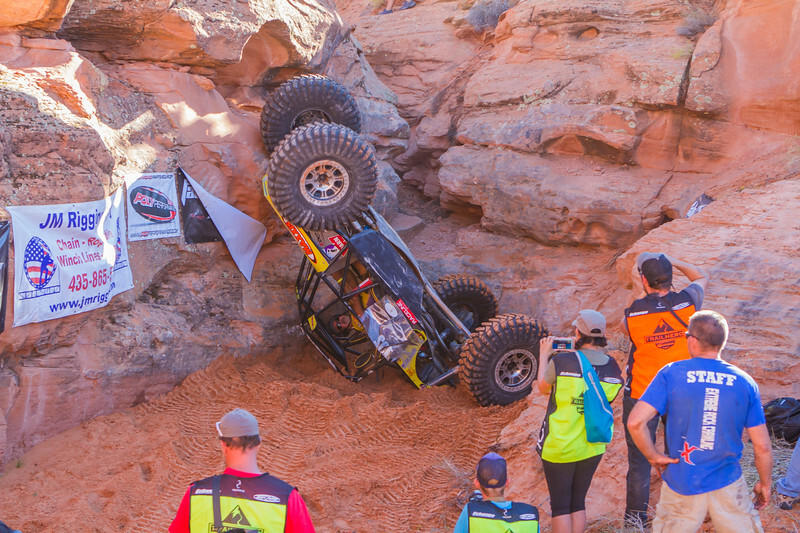 As you can see there is plenty of action at this 4-day event and I didn't even have time to share any of the trail wheeling photos. With well over 2,000 photos at the event, it was difficult to pick just a few. 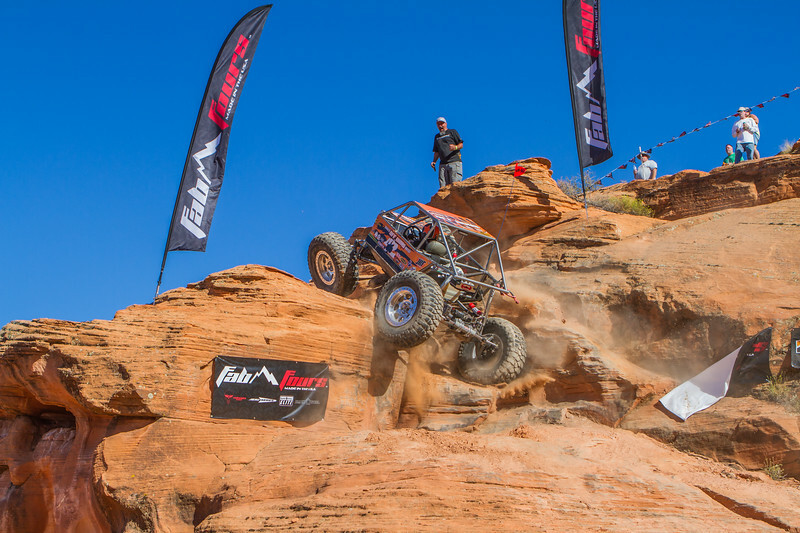 Make sure to put the Trail Hero event on your calendar for November 2019. Remember to wheel safe, have fun, take care of all of our Veterans and buy your tires and wheels from Discount Tire!